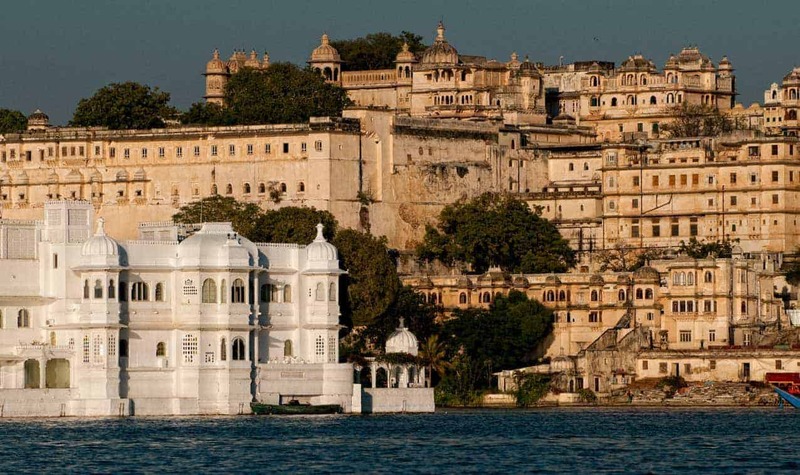 India is huge, and it is filled with history, art and spirituality and the architectural elements of all three. We had two and a half weeks, and so plotted out our itinerary with precision, aided by the convenience of air travel that saved us time and, in many cases, our transportation budget. 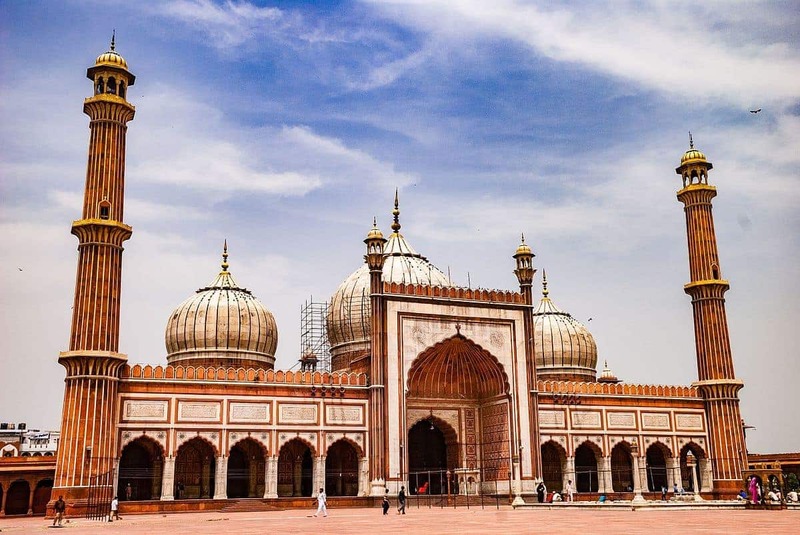 So with flight tickets in hand, we set out on our first visit to India with our “must see” list. Appropriately enough, we began our tour of India and Mumbai at the Gateway of India on the Arabian Sea. 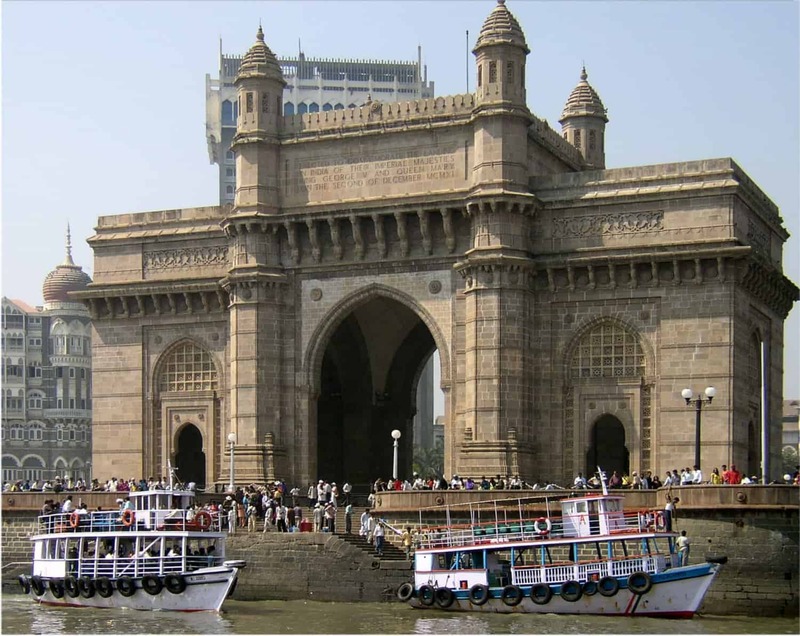 The magnificient monument of gold basalt and reinforced concrete stood like a sentinel overlooking the Mumbai Harbor. From there, we took a ferry to the Elephanta Caves, an ancient Hindu shrine that is at least 1,500 years old. 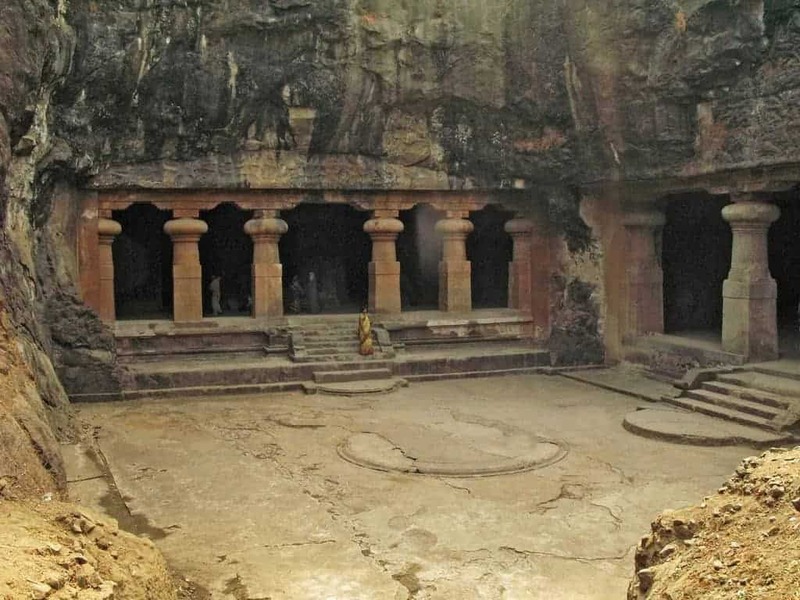 Throughout the intricate network of caves were statues and reliefs from a long gone artistic tradition. 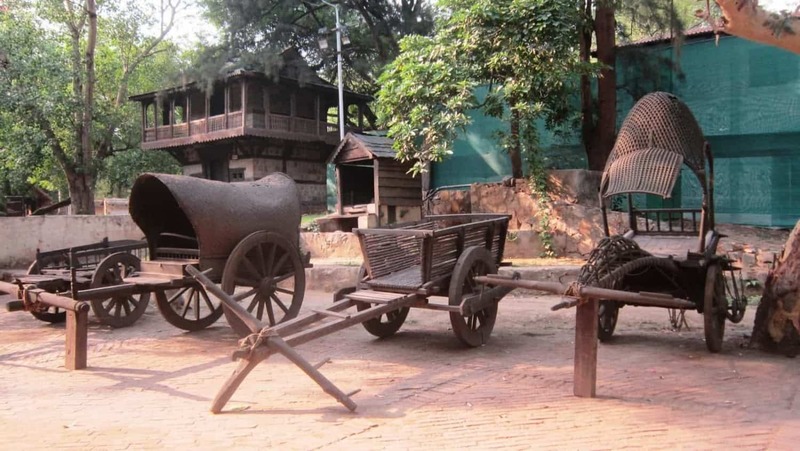 Sanjay Gandhi National Park is 2000 hectares away from the busy streets of Mumbai. We saw only a fraction of 270+ species of birds, but more than we have ever seen anywhere else! Now we will take the first of our domestic flights from Mumbai to Bangalore. 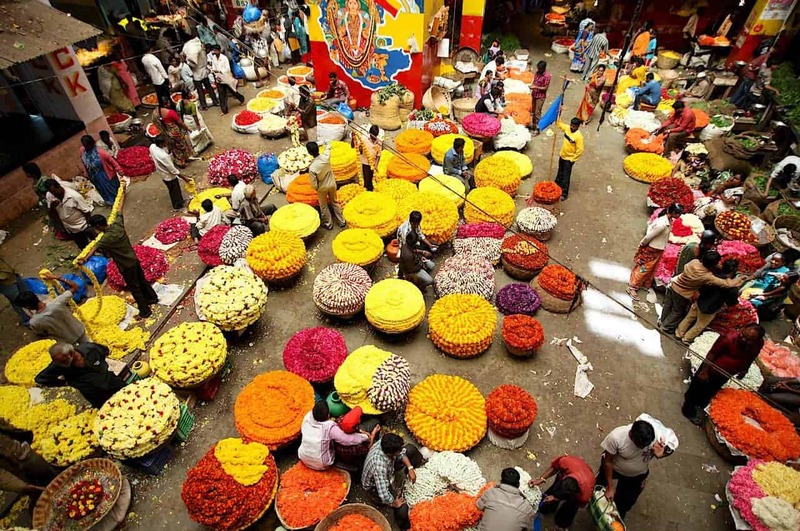 The Krishna Rajendra Market is festive with beautiful fabrics in brilliant colors and the melodious sounds of unrecognizable languages. We were there early to watch as goods were unloaded and the local people clamored about for the best bargains. The Lumbini Gardens on the banks of Nagawara Lake are dedicated to Lord Buddha. It is a serene paradise with rich and varied flora as we walked along with celestial views of the lake. It may sound incongruous, but there is also an amusement park for the kids. 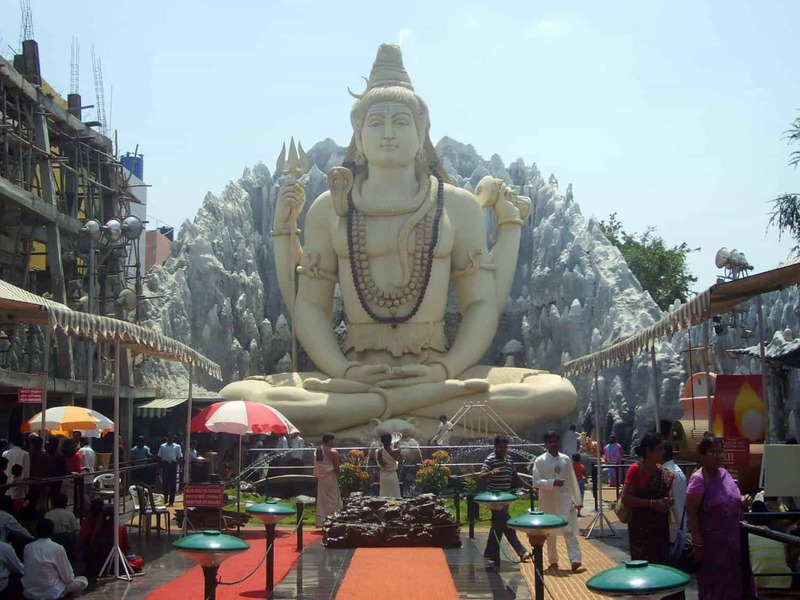 The Shiva Temple in Bangalore is one of grandest in all of India with a 20-meter image of Lord Shiva rendered in dazzling white marble. The temple has celebrations on a regular basis, so in addition to the artistry all around us, we were able to experience its spiritual elements. 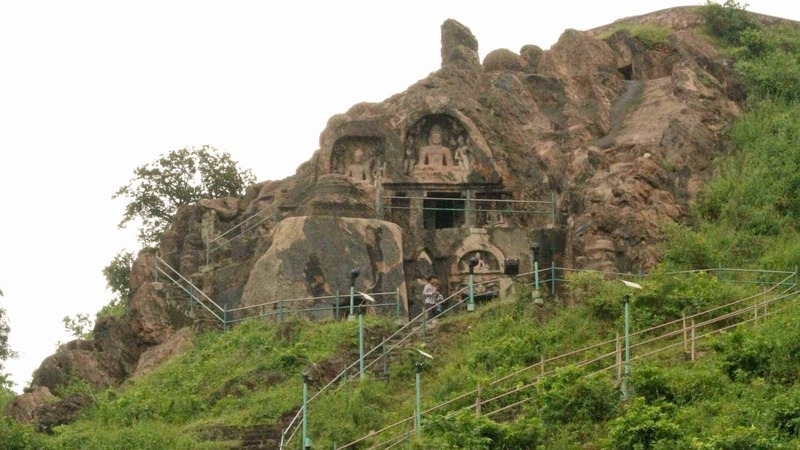 Bojjana Konda is a group of Buddhist monuments that date as far back as 200 BCE with carved-out caves, monolithic dagobas that preserve relics of the Buddha, tiers of rock platforms and an awe-inspiring staircase to a double-storied cave. 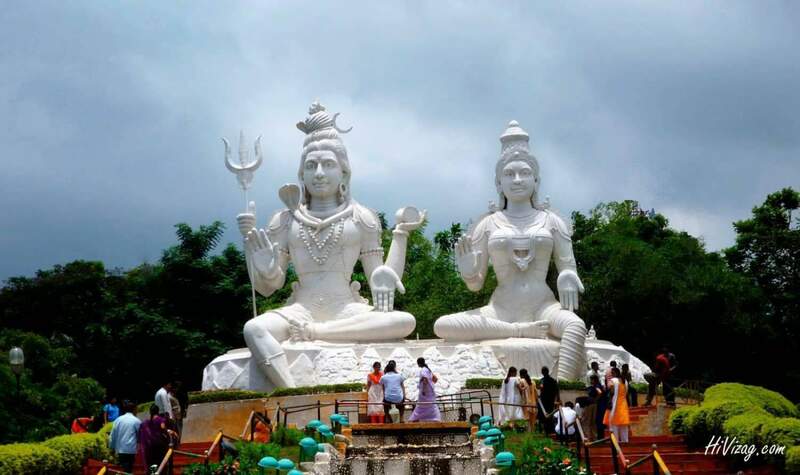 Kailasagiri is a hilltop with a spectacular view of the sea and winding beaches, and in the evening, the city far below glittering with its rainbow of lights. Ghatrani Falls is surrounded by thick forests. It takes a bit of a hike to reach them. Well worth it to see such a testament to the power and glory of nature. 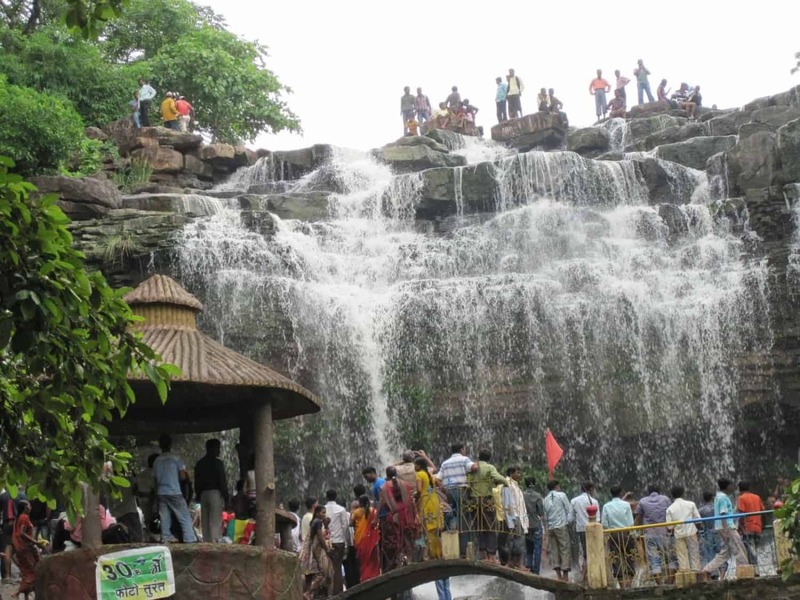 The Nandan Van Zoo and Safari is spread across 202 hectares, the world’s largest man-made jungle. 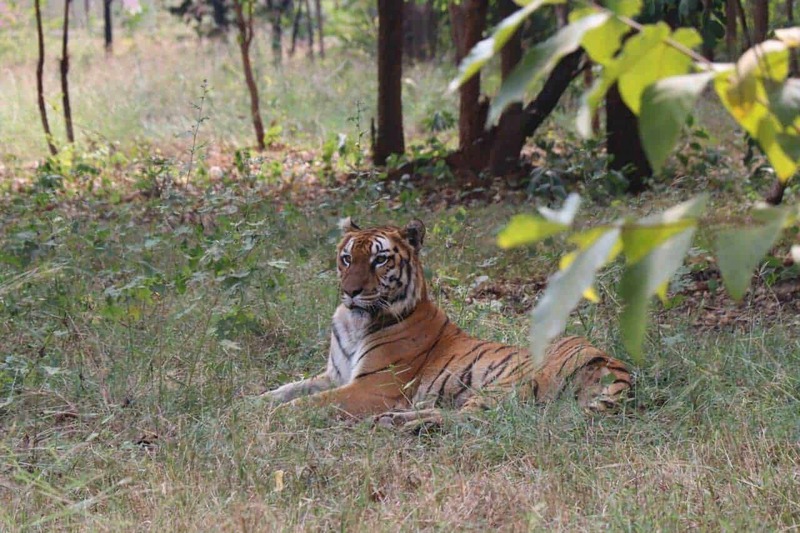 In an eco-friendly vehicle, our guide took us through a stunning display of natural beauty to see the animals roaming freely in their natural habitats. Since time was at a premium, we went to the Crafts Museum in lieu of strolling through the village streets. There we experienced the traditional local life as we met the artisans and watched them work, weaving, wall painting and spinning their potter wheels. We bought some fabulous and unique creations to take home. 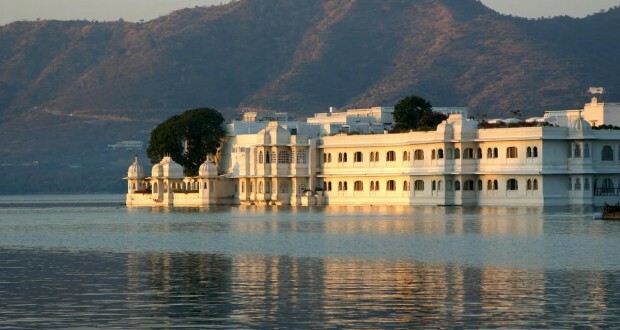 Udaipur is surrounded by four lakes and called the “Venice of the East.” It was like being in a fairy tale with fantastical palaces and temples and narrow, crooked streets lined with whimsical townhouses. 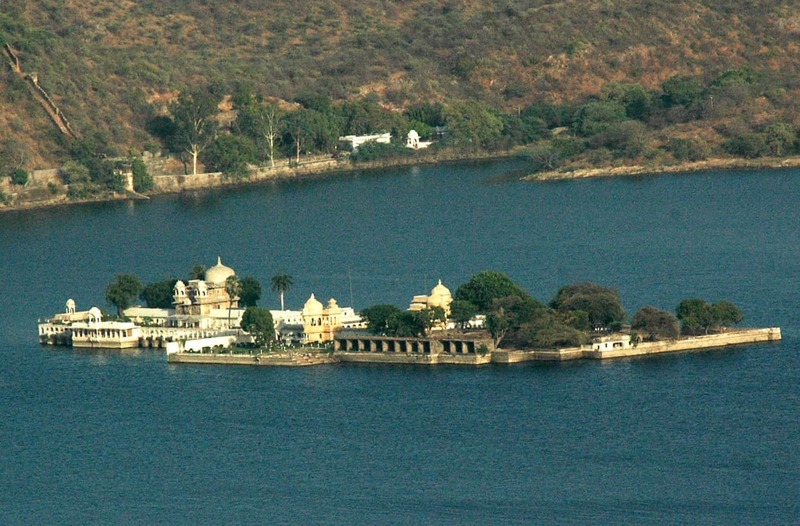 Jag Mandir is an island palace on Lake Pichola that was the inspiration for the Taj Mahal! 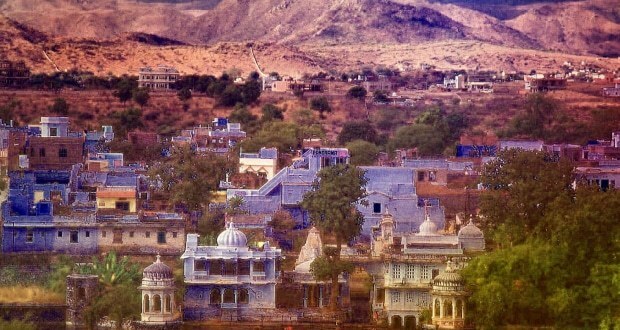 Its grandeur includes a row of enormous stone elephants at the entrance and a 17th-century tower carved from bluestone. We strolled along the paths of a lush garden and gazed at the views across the lake. And then it was time to fly home and start our “must see” list for our next holiday in India.